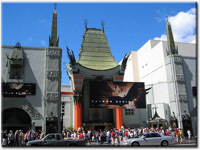 Personally tailored LA private tours from Santa Monica carried out by best professional LA tour guides. Our LA private tours service is perfect for seniors, families, private groups, VIP and travelers with special needs and requirements. Our highly motivated team of professional tour guides is the most experienced and knowledgeable in LA. This allows you to see a lot more of LA during your trip. We can customize Santa Monica private tours of LA and make it special. Private luxury tours from Santa Monica to LA, Hollywood, Beverly Hills, Santa Monica, Malibu, Santa Barbara, San Francisco, CA, San Diego, CA, Southern and Northern California, Las Vegas, NV, Grand Canyon, AZ are also available. Santa Monica private tours service is available in LA for tourist couples, seniors, families with children or small groups up to 14 people ( or more). Our private LA tour includes many of Los Angeles most appealing sights. LA private car tour visits Hollywood Sign view from Mulholland Drive, Hollywood Blvd, Grumman’s Chinese Theater, Dolby Theatre, World Famous Farmers Market and The Grove, Sunset Strip, celebrity star homes in Bel Air, Rodeo Drive in Beverly Hills, West Hollywood, Sunset Strip, Downtown LA, Santa Monica Pier, Malibu, Venice Beach, Reagan Library, Long Beach, museums. Santa Monica private city tour includes many stops at various points of interest, including the Hollywood Walk of Fame and is fully guided with sightseeing commentary. Our Santa Monica private tour is a fun, unique and exciting way to get a sightseeing overview of the city of LA, so that you can decide later where you'd like to focus your time. Santa Monica LA tours departs from Shore hotel Santa Monica, The Georgian, Shangri - LA, Fairmont Miramar, Huntley, Cal Mar Santa Monica, Le Merigot Marriott Santa Monica, Shutters on the Beach, Casa del Mar Santa Monica, Viceroy, Oceana, Hilton, Radisson, Ritz Carlton, Courtyard, Holiday Inn, Best Western, Wyndham, Crowne Plaza, Loews Santa Monica, Westin, W, Four Points, Sheraton, Doubletree hotels or any other address in Los Angeles, Hollywood, Beverly Hills, Santa Monica, Malibu, Marina Del Rey, Woodland Hills, Pasadena, Long Beach, Anaheim, LAX, Burbank airport, LA cruise terminal. $60/hour for up to 5 people. Different size vehicles, vans, buses, limo, limousine transportation available.